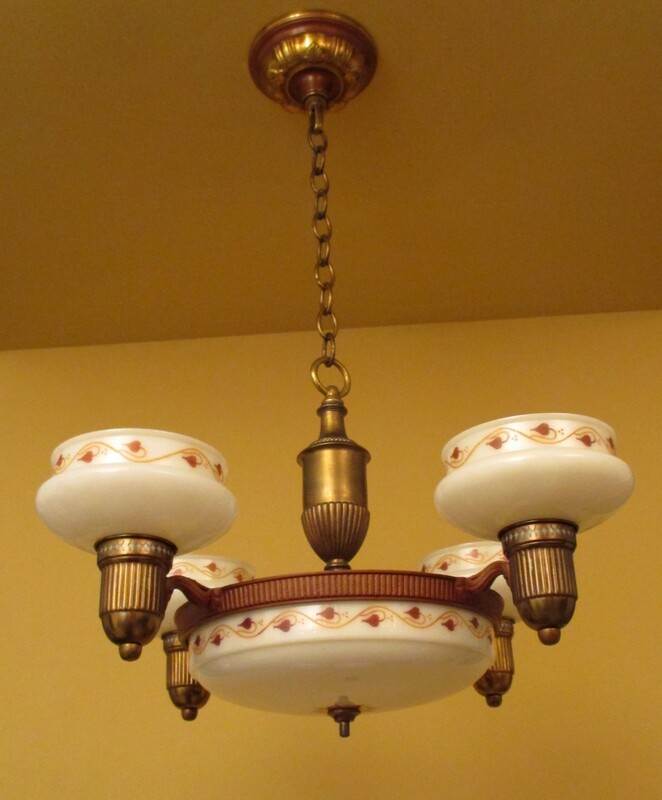 I had a large matching set of 1930s fixtures by Lightolier listed for sale. The set included chandeliers and pendants and sconces; thirteen fixtures total. 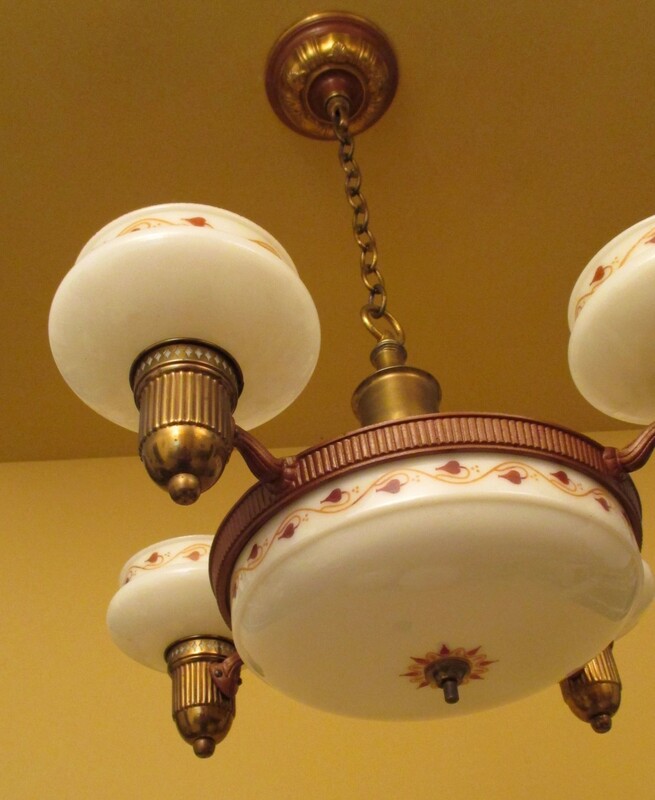 A buyer wanted the whole set save two fixtures. So, eleven fixtures were shipped to Pennsylvania, and I relisted the two remaining fixtures. 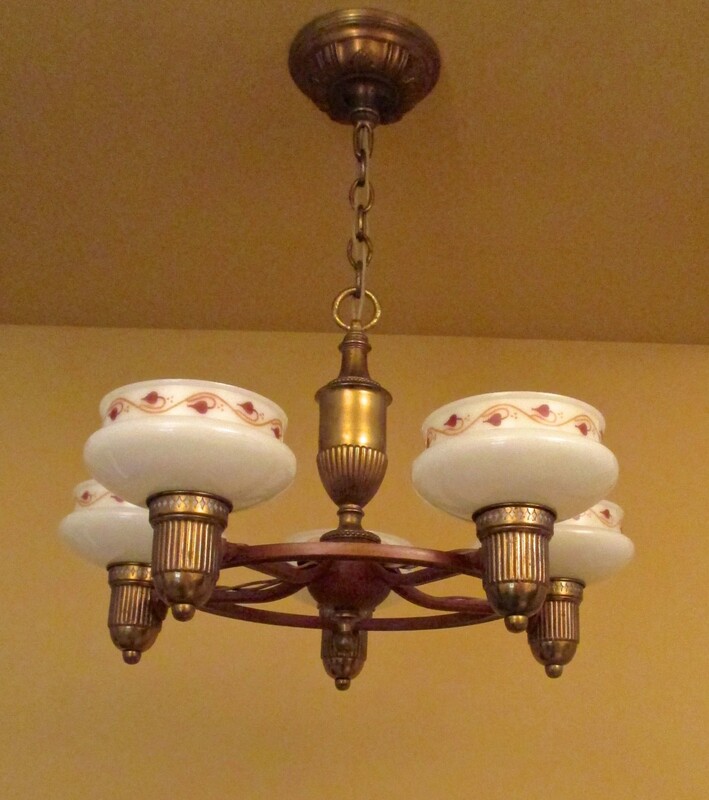 This chandelier has four small glass shades and an astounding huge glass center shade. 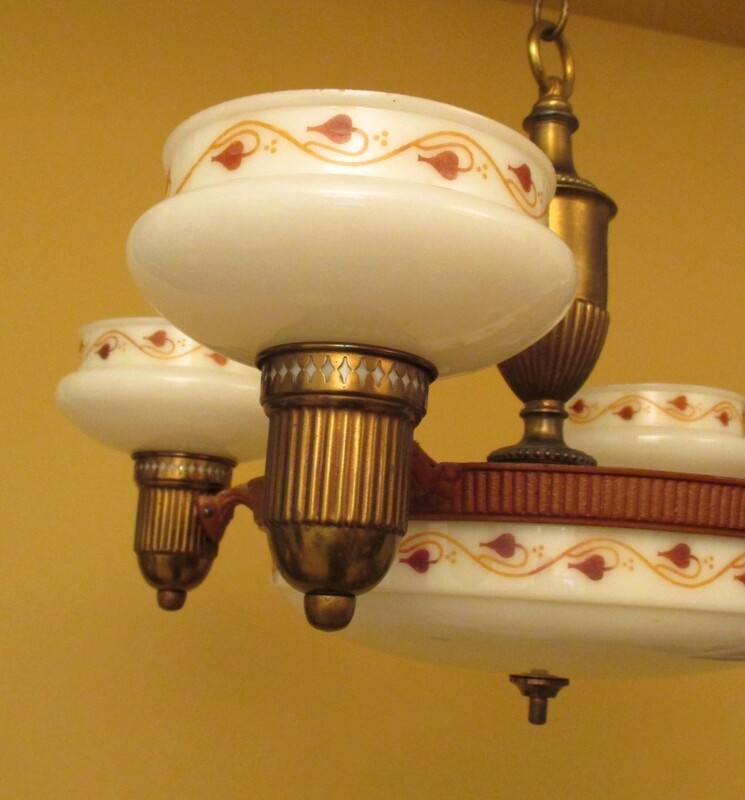 The shades are custard glass and have gorgeous leaf/vine designs. 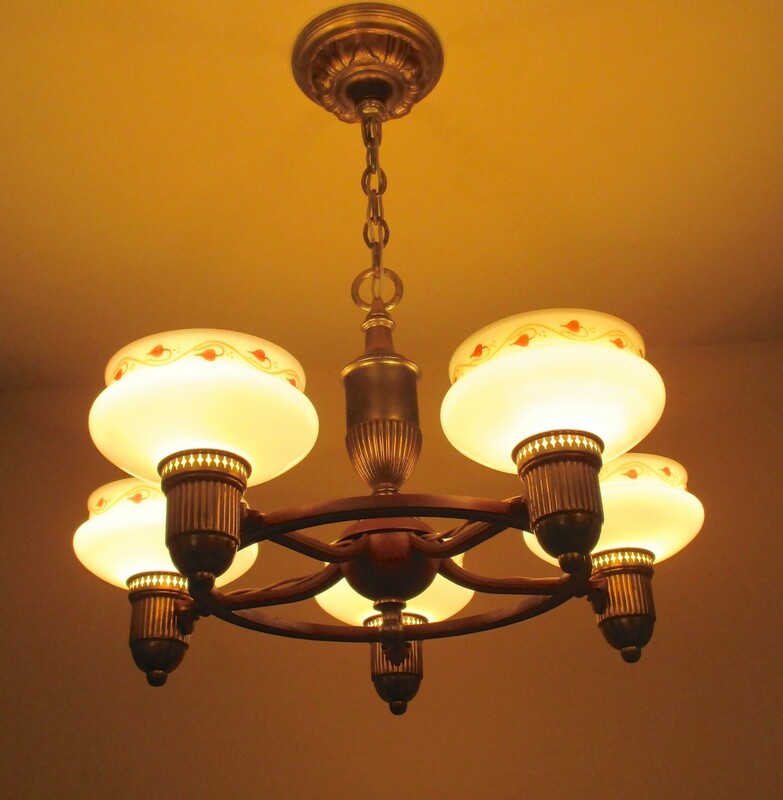 The second chandelier has five small shades. The umber paint on the body is original. The chandeliers are stunning when lighted.